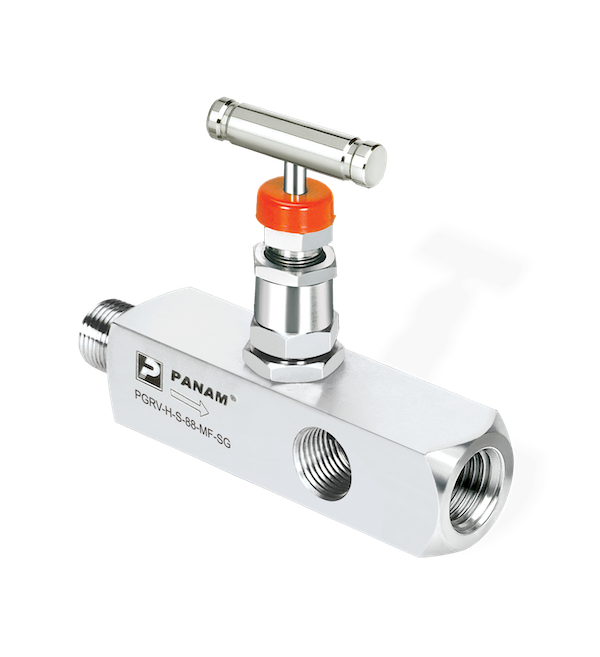 PANAM Gauge Root Valves are designed to connect system impulse lines and transmitters. These single valve manifolds consist of one male or one female NPT connection to the process, and three female NPT instrument connections. These valves are rugged in construction to withstand high pressures and temperatures, and are rated up to 6000 PSI.